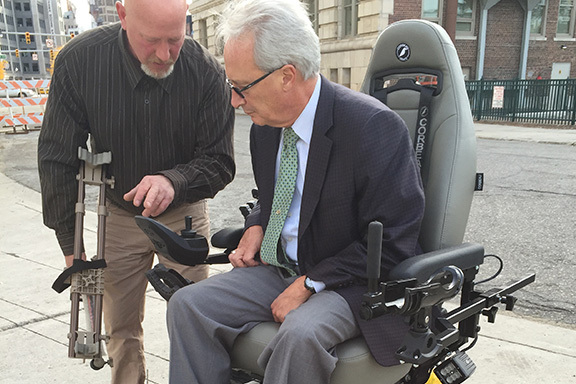 On October 30th, 2015 Defender Mobility was able to present a special chair to a veterans home in Grand Rapids, Michigan. The Detroit Athletic Club hosted the 13th annual black tie Chuck Davey Boxing Classic to a sold out audience. The event’s’ Platinum Sponsor O’Keefe & Associates’s, lead by CEO and DAC member Patrick O’Kefe. His sponsorship made the purchase of the $15,000 chair possible. Along with other sponsor’s help the DAC was able to provide each of the national championship NCAA boxing teams from the U.S. 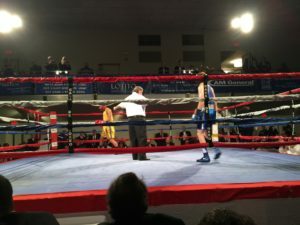 Naval Academy, U.S. Air Force Academy, and U.S. Military Academy competing in nine bouts with $31,000 each to help fund their individual programs. We’d like to extend a special thanks to Mr. O’Keefe for his contribution to the positive impact of deserving group of veterans and the three NCAA boxing teams.